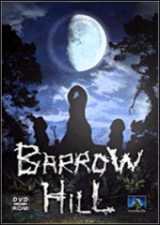 Barrow Hill is a horror/thriller adventure game; told from the point of view of the player using a first person perspective. Set in mysterious Cornwall England (where the game developers are located), rich with legends; from sacred wells to dark forests, the players will unravel many mysteries, after being stranded on the lonely road to the 'barrow'. This ancient burial site, from pre-history, sits shrouded amongst the watching trees of the hill. Following in the footsteps of the well-known archaeologist, Conrad Morse, you will discover that the barrow is more than just a mound of earth and a collection of forgotten standing stones. However, not all archaeology is constructive, for some things should be left buried and undisturbed.